There are many fine places to live in Chicago. But if you are looking for the ultimate luxury location smack dab in the midst of the city, there is only one that you need to know about. Our current President has personally endorsed the amazing new Trump Hotel and Tower. 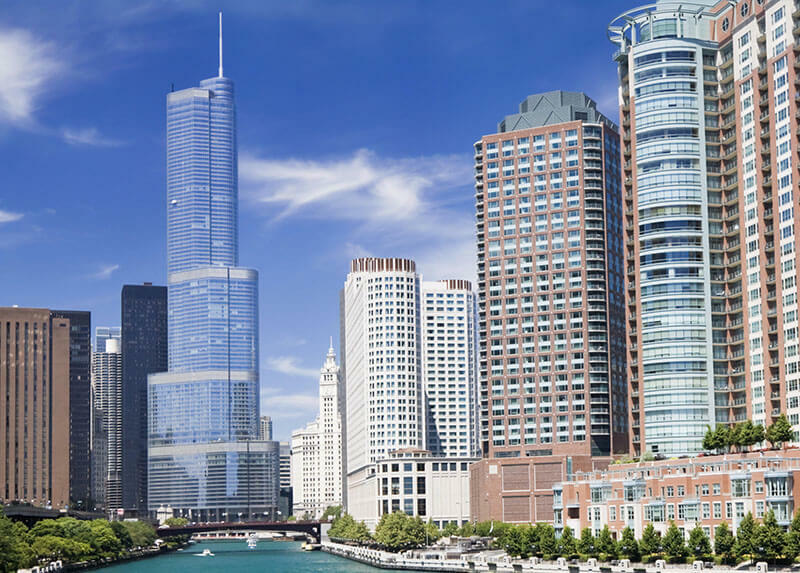 The Tower is the newest project from real estate mogul and 45th President of the Untied States, Donald Trump. As such, it bears all of the hallmarks that have come to be associated with his name. At 486 condos and 92 stories, it's a mighty monument to exclusive luxury. Not only is the Tower an imposing specimen, it's also a comfortable and luxurious place to live. Every part of the Tower reflects our President's "huge" sweeping vision, not only for the city but for our great nation. The building has been designed to meet the finest modern standards for quality, comfort, and luxury. Its curved design not only lets it stand out from the crowd but also gives you superb views of the city and its surrounding areas. As you explore the interior of the Tower, you'll see all sorts of amenities and luxuries, from a Michelin-rated restaurant to a "huge" swimming pool, spa, and fitness center. The Tower does it all and better. You can depend on top service from the friendly staff who will be more than happy to assist you at all hours of the day or night. The sun truly never sets on Trump Tower, the 2nd tallest building in America. You'll be pleased to note that the Tower itself has a wide range of condo styles and price ranges, from studio all the way up to three bedrooms. You'll enjoy wide, spacious balconies as well as a range of comforts and amenities. The Tower is close to all of the most exclusive luxury shopping areas and restaurants. It's located directly on the waterfront. This means that you can travel to all of your favorite dining areas and night life spots in a very short amount of time. If you have any further questions or comments concerning Trump Hotel and Tower, please don't hesitate to get in touch. We'll be glad to answer all serious inquiries concerning residency at the Tower. Call us today to learn more about what we can do to get you the full all-American luxury experience that you have always dreamed of enjoying.